The Appalachian Ranger District is located to the north and west of the city of Asheville. While it covers some areas that are very popular for hiking, it also includes some remote, seldom-used backcountry trails. Destinations to choose from include overlooks with soaring views of the French Broad River, the summit of the East's highest mountain (Mount Mitchell), vast natural rhododendron gardens at Roan Mountain, a variety of waterfalls, and much more. 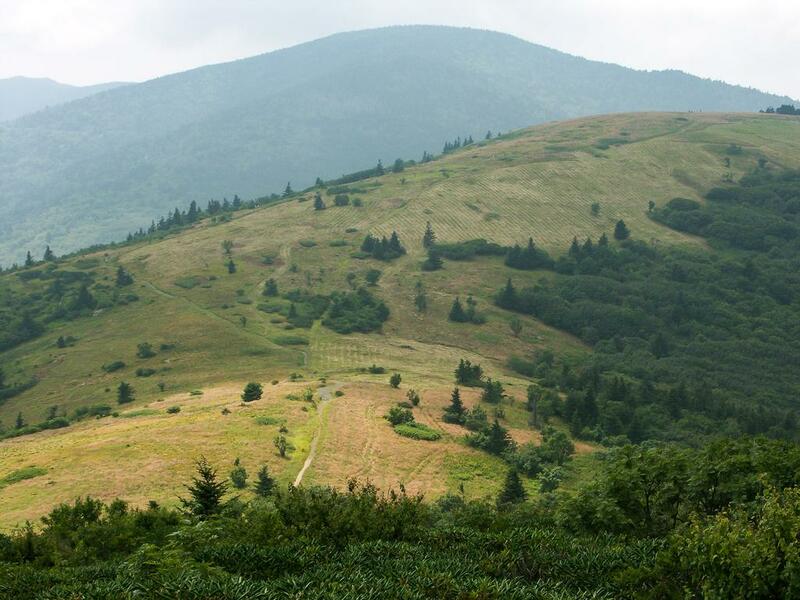 View of Round Bald and High Knob on Roan Mountain, a highlight of the Appalachian Ranger District. 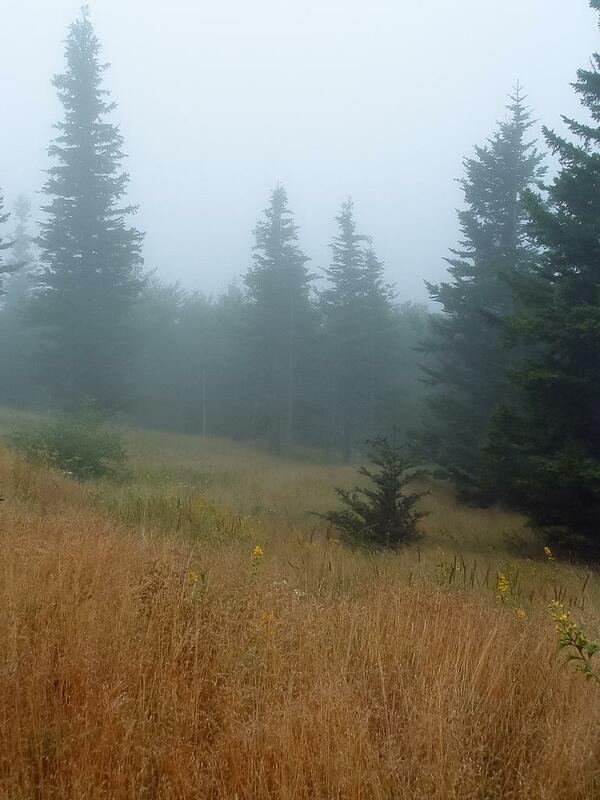 Spruces grow in the fog in an alpine meadow near Mount Mitchell, in the Appalachian Ranger District of the Pisgah National Forest. This district was once officially divided into two smaller ranger districts which have since been merged together. They were called the French Broad and Toecane districts, named after the major rivers that flow through them, and you may still see references to them in several places. But even these areas were quite large, and they contain a lot of trails that are nowhere near each other. So we divide them up even further, grouping trails that connect or are convenient to one another. 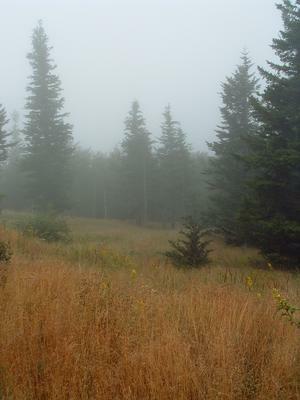 While the National Forest land surrounding Mount Mitchell in the Black Mountains is part of the Appalachian Ranger District, the summit of Mount Mitchell itself is contained within the Mount Mitchell State Park Trailhead.